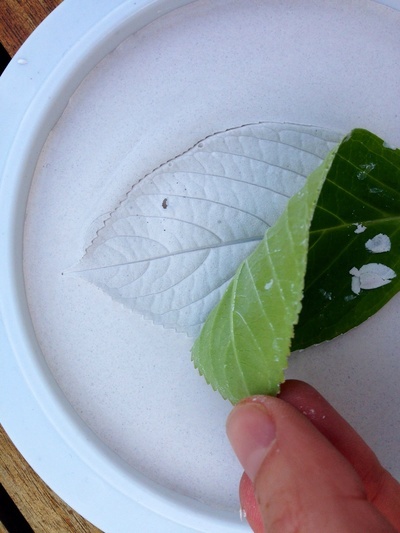 Create a cast of a leaf in plaster of Paris. 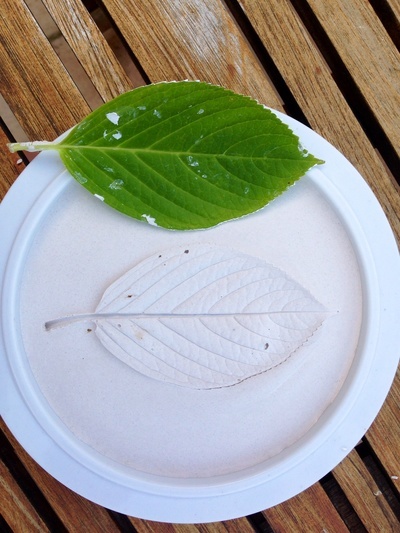 This is a fun nature craft for kids of any age. 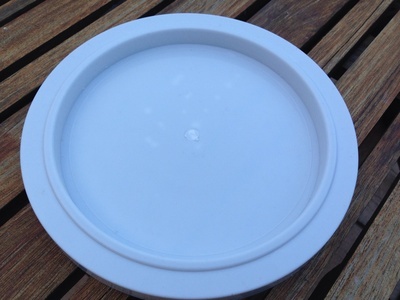 Choose a dish or lid with a depth at least a centimetre thick. 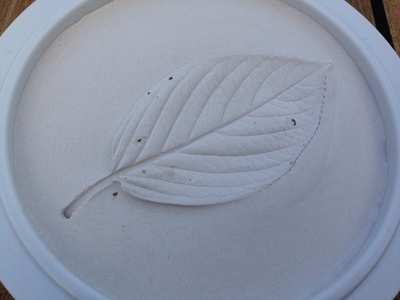 The plaster needs to be deep enough to press the leaf into. Find a leaf with an interesting texture. It needs to fit inside your lid. Mix the craft plaster of Paris with water in a disposable container. We made ours slightly thicker than the guidance on the pack. We used about half a cup of plaster and half a cup of water. Pour the plaster of Paris into the lid. Tap the lid to let any air bubbles escape. 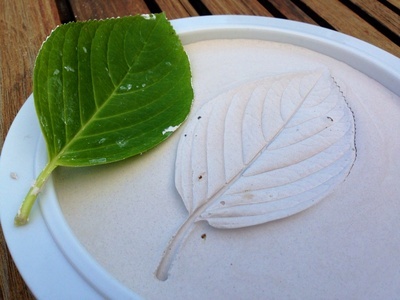 Let the plaster start to set for a few minutes then press the leaf carefully onto the top of the plaster. 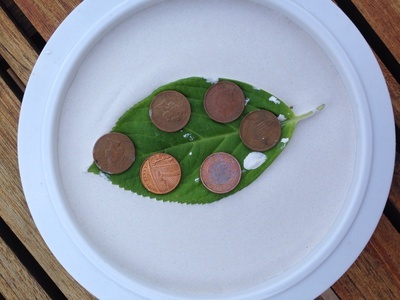 We carefully placed several small coins on top of the leaf to ensure it was well pressed in and didn't spring up. 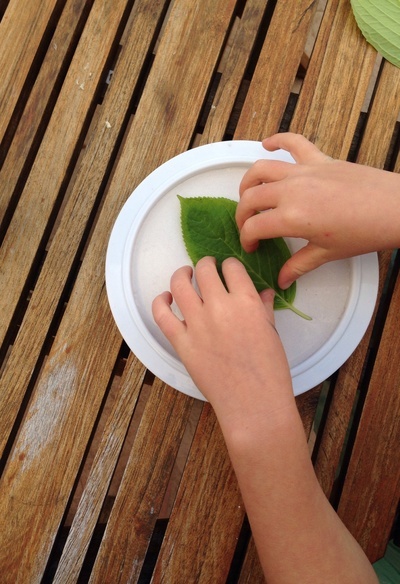 We let the plaster of Paris set further for about an hour (until it was firm to touch) then peeled off the leaf. Allow at least a further 24 hours for the plaster to fully dry out. Once dry you could paint your creation if you wish with acrylic paints.